E-commerce, is the abbreviation of electronic commerce or internet commerce. It refers to the buying and selling of goods and/or services using the internet, for a specified amount of money. If you have a small or large business so by using e-commerce platform you can get more. The qualified and professional software engineers of GlowLogix have worked on these projects with the aim to satisfy our valued customers. 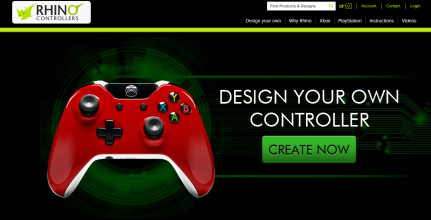 Rhino Controllers is the global website for customized Microsoft XBox and Sony PlayStation controllers where you can create XBox One, XBox 360, PS3, and PS4 controllers.